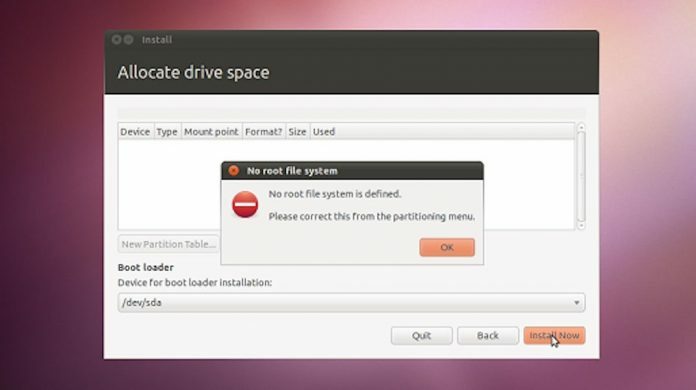 “No root file system defined” error is very common while installing Ubuntu alongside Windows 7 or above. This is because you did not assign any file-system to be mounted in the root directory (/). 1. 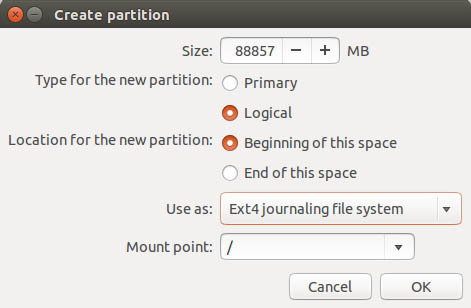 Select the partition to install Ubuntu. 2. 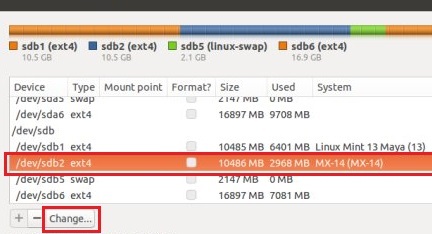 Click on edit/change to change the file-system use ext4. 3. On the mount, field write select “/”. I click the button of Change,however it does not response.What’s wrong with me ? Straight forward and to the point. This worked. Thank you. Thanks for helping me to resolve this problem.